The problem: if things really did collapse, most of us don’t know how to get those seeds to grow into plants that will actually produce honest-to-goodness food for the table. Most folks are still at the “I bought a pepper and it died” phase, not the “I got 100lbs of potatoes from one of my beds last week” stage. Bags of rice and wheat eventually run out. MREs do too (thankfully). Yet if you’re able to convert part of your lawn into a garden and have the confidence and skill to grow a good chunk of your family’s diet in that garden, you’re in better long-term shape than the guy with 1500lbs of pintos stuffed beneath his bed. It’s the difference between consumption and production, which we Rothbardian acolytes understand so well. The non-gardener with the bagged beans cannot create more beans—but as a gardener you can. Almost infinitely. Right now most of the vegetables my family consumes grow in our yard. We’ve also got hundreds of pounds of edible roots beneath the soil that can be dug as needed. These stockpiles can also be regenerated and increased year after year with the proper knowledge. It took me years to get to the point where I reached the certainty that even if things fell apart, I would have food. That’s a great feeling. You can get there too. 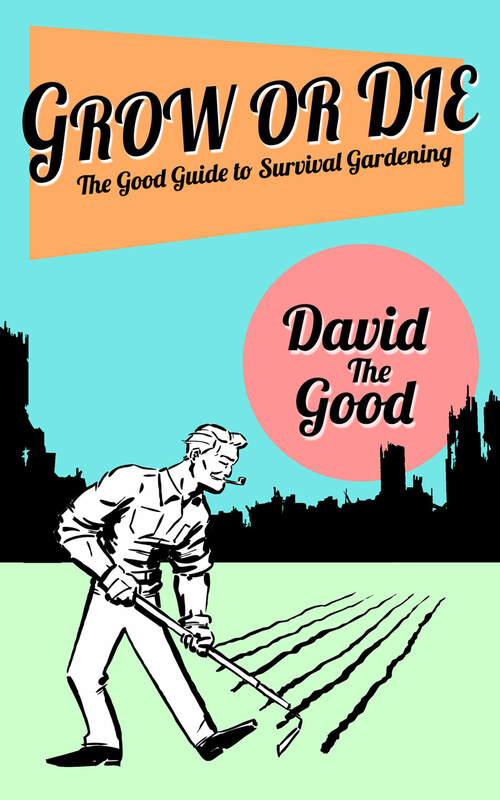 I’ve shared my gardening knowledge and methods (including how to till without gasoline and keep a garden irrigated without city water) in my new book Grow or Die: The Good Guide to Survival Gardening—but even if you don’t get my book, I want you to know how to get started today so you don’t starve tomorrow. Don’t start from nothing with the goal of “growing all you eat” if you fear failure and unless you’re willing to spend hours and hours in the garden. Start with something manageable, such as “I’m going to grow all my salad greens” or “I’m going to grow enough roots to feed us for a month.” Nailing down something smaller will boost your confidence and get you knocking down more goals. Quit throwing away potential soil fertility! No more excuses. 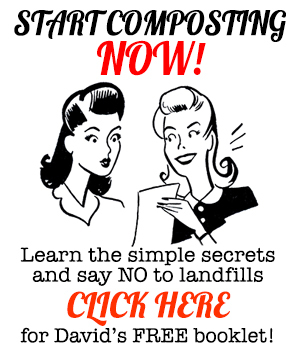 Start a big pile somewhere and start chucking all your biodegradable kitchen scraps onto it. Having perfect ratios and a nice bin is a lot less important than simply DOING it. Throw stuff on the ground and it will feed the soil. It’s that simple. Throw it in the trash and you’ve exported potential fertility from your homestead. Don’t do that. One variety of bean may thrive in your area—another may fail. Test a lot of types and don’t get caught up in the pursuit of novelty. With survival gardening you want to grow plants that are tried and true and well-known for their productivity. With the exception of zucchini. Zucchini is nasty. Just don’t ask me to “learn to love the bomb,” cuz that ain’t gonna happen. I am feeling a bit of pride (hopefully not hubris!) because I will be eating homegrown broccoli for the first time in the next week. Florida sand has had a steep learning curve for me, after Tennessee clay and Indiana loam. When Dave and I started our 40 acre homestead in the foothills of NC in 1975, people thought we were nuts. Why bother to grow food? The land had been destroyed by modern farming methods of chemical fertilizers and pesticides, as well as tractor use. We had fields of broom grass and old corn stalks that could not rot due to dead soil. Little by little we improved the soil by use of manures and spot planting to improve the soil in small spaces to grow small crops for eating. Perennial food plants were very important. Small animals such as goats, chickens, turkeys, provided our only meat. Growing veg in the winter was a problem. A small greenhouse heated with barrels of water helped that problem. We also found quite a few veg that will grow heavily mulched through the winter. Enough to get by. 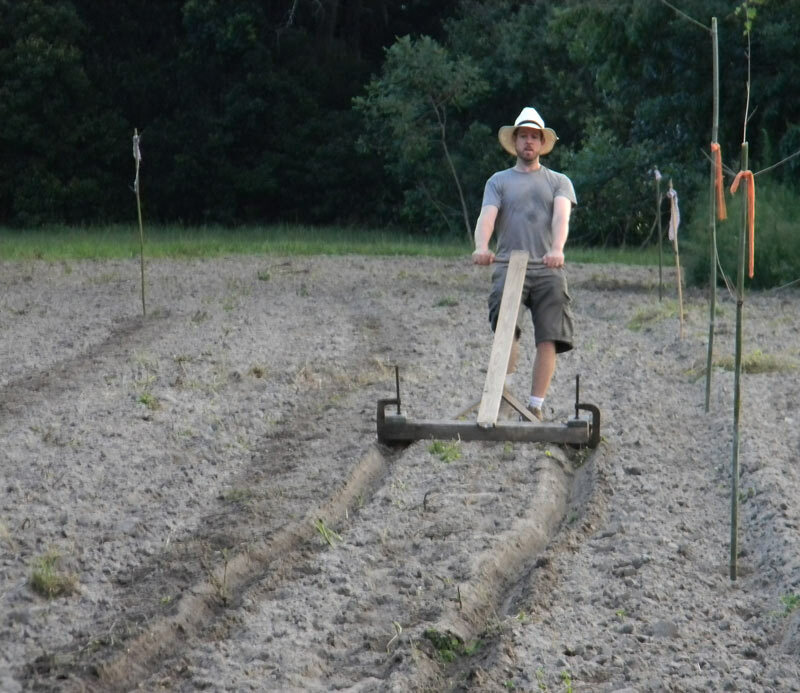 I took a lot of thought and experience to grow food year round, but it is not impossible if you put your mind to doing it. 23 years later, we moved to the tropics and started the process again. Now the hard part is growing in the heat. 40 years of growing my own food and still learning. Most regular people who visit my 1 acre homestead don’t recognize that they are standing in our food supply. To them it is just a somewhat unruly garden. The more I get into farming the more I love it. When I started there were very few earth worms hanging around. Now, after feeding my soil with compost, leaves, kitchen waste and rabbit poop, those little critters are having a party. Thanks for preaching the gospel of small time farming. I’m with ya. Having grown a garden as a child, having to plant and weed several acres of garden, i really hated a garden. But i missed the great tasting food we had as a child. We put a pot on a burned outside full of water, and went to pick sweet corn from the garden, when we got back the water was boiling. We ducked the corn and put it into the pot, you can’t get any fresher than that! Florida is a much larger challenge, but with patients and a lot of perseverance, you can overcome. A little help from David the good, and his books is a big help too!! Growing and experimenting is exactly the way to go, I am currently growing things David has encouraged me to grow, and I get more successful every day. Growing things from south Florida in north central Florida can with some work be done, and you can reap the rewards. I grow in aeroponic garden towers with some success, raised beds with some success, and I have a small food forest I have planted with great success. Thanks again David. Have you ever heard of Ruth Stout and her no work garden? 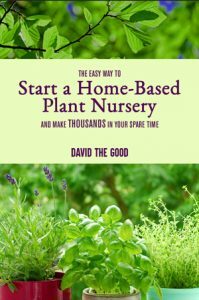 Back in the early 70’s, she wrote a book and articles in organic gardener about easy methods she used to help her maintain her garden. She was a little old lady using a lot of mulch and very little weeding. I have always embraced her methods, and now that I am the little old lady, I appreciate them even more. Perhaps you can Google her to add to your store of easier successful gardening methods. Good luck. With the encouragement of many including David here I’m starting to actually reap harvests! Instead of the few peppers I was getting off potted plants I just yesterday dug up my first sweet potatoes bed. An estimated 15+ lbs of taters from a 3’×3′ bed! Probably still wasn’t even a great yield but I’m totally excited about it! Shows the potential there is in real sight. Thanks David I only tried sweet potatoes because of you! There are even two more beds more than twice that large to dig! I’m all excited to get in there and see what beholds. Also harvested a half bucket of unshelled pigeon pea pods yesterday with more than twice as many still growing! Its a great thing to feel seeing your work at its end. David your the man! Thanks for the site and all the encouragement! I’ve only come this far partly due to you! Got over 200 pounds of potatoes this year, in what was more or less a lark. Last year I had lots of green ones and ones that sprouted in the basement. They all got planted last spring, and grew like crazy. Never planned on that many potatoes. As long as they don’t pick up some disease, I’ll keep rolling them over. Tomatoes are mostly volunteer these days, I don’t bother buying plants or seeds much anymore, as there are plenty of sprouts every year. Beans I still plant, because the volunteers are not reliable enough. I did get a few volunteers, but I planted a lot more. Learned something new this year, you should plant vine beans among your sunflowers, they grow great together, a lot better than beans with corn. A lot easier to pick the beans too. Started composting paper, finally. Basically am just throwing it into a deep trench together with the garbage and leaves and what-all. I figure in a year or two, it’ll be all rotted. No hurry. That’s awesome. These kinds of experiments are what ultimately makes your gardens much better successes than sticking to the rule book.